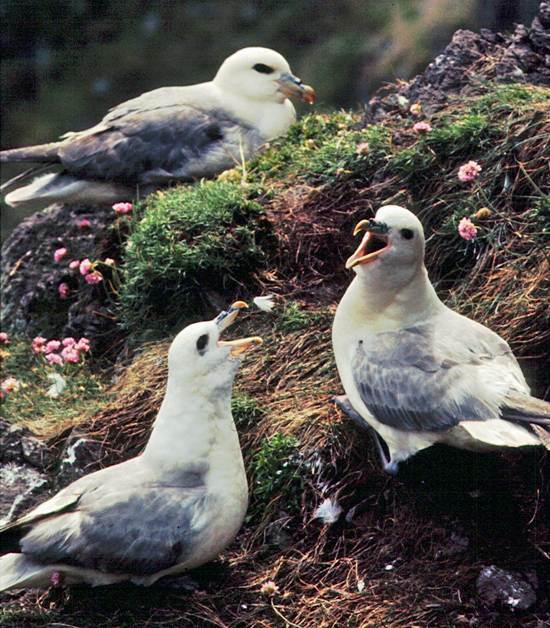 Fulmars breed all around the coast of Britain and Ireland, and a few remain in coastal waters all through the year. They are magnificent gliders, only infrequently beating their wings as they fly over the sea tirelessly. 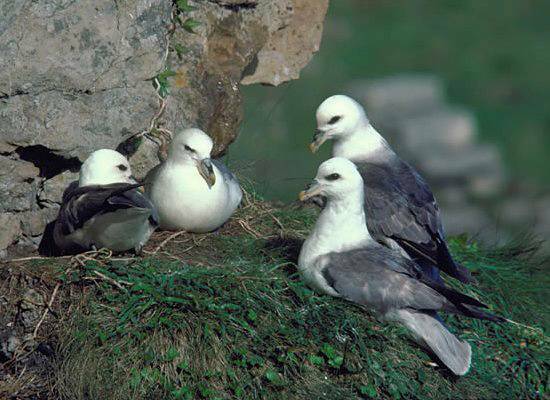 Using little or no nesting material, Fulmars generally produce a single egg in May on a rocky ledge or in a hollow in the cliff-top turf. They breed in colonies, usually in remote areas but also occasionally on ledges of buildings. March to June is usually the best period for seeing Fulmars along the coastal cliffs.